This, dear readers, is the book that I did not grok. It comes with very good credentials, winning the Chinese Science Fiction Galaxy Award in 2006, being nominated for the Nebula Award in 2014 and winning the Hugo Award in 2015. “1967: Ye Wenjie witnesses Red Guards beat her father to death during China’s Cultural Revolution. This singular event will shape not only the rest of her life but also the future of humanity. Four decades later Beijing police ask nanotech engineer Wang Miao to infiltrate a secretive cabal of scientists after a spate of inexplicable suicides. Wang’s investigation will lead him to a mysterious online game and immerse him n a virtual world ruled by the intractable and unpredictable interaction of its three suns. I began by being really engaged by the opening, Cultural Revolution phases of the book, only to stall once it came forward into present time and the Three-Body Problem game and events around it took centre stage. The game in particular did not engage me and it formed a large part of the book. 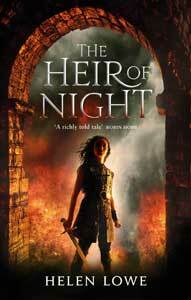 However, although I remained stalled for some time, I was determined to finish the book. In the end it became my aeroplane-journey read and my own wee game became how many boarding passes I would collect before I reached the finish line. Answer: nine boarding passes and six months, for a 424 page book. the strength of the book is the scientific speculation and the use of that to create the conundrum of the Three-Body (sun) world. The story is also unquestionably plot driven. Conversely, the characters exist chiefly to serve the plot, rather than being explored and developed in their own right. Overall, they are remarkably “flat”. And in the final part of the book, where the narrative shifts briefly to the Three-Body world, there are no point-of-view characters: effectively the story is being related to the reader, who is ‘told’ about the society and its culture by means of what is known as “the omniscient narrator” technique. As a reader, I find this kind of storytelling unsatisfying. Since I have never been strongly drawn to games, I was not engaged by the considerable part of the book that centred on the Three-Body Problem scenarios. With hindsight, therefore, I can see that The Three-Body Problem was never going to be a book that appealed to me. However, I suspect The Three-Body Problem will offer a great deal more to those who actively enjoy games, particularly problem-solving games (as opposed to “shoot ’em ups”), and who like their Science Fiction strongly grounded in real science — although I should note that the storyline does not necessarily adhere to what we know or theorise about the nature of the universe, so in this sense it skirts Space Opera territory. 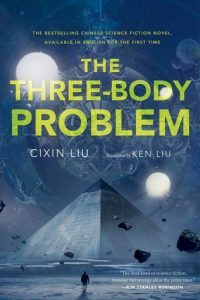 The Three-Body Problem may also appeal to readers who prefer plot-driven stories and are (far) less concerned about character development. But if, like me, you prefer characters and their development to get at least equal billing with the plot, then the chances are that The Three-Body Problem may not be for you, either. I read the mass market paperback edition of The Three-Body Problem (Head of Zeus Ltd, 2016). I purchased my own copy rather than reading one made available by the publisher or author.